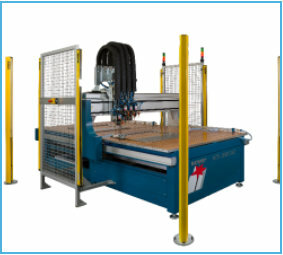 We offer a wide range of semi-automated and fully automated CNC machining centres. Here you will find an overview of our portfolio. 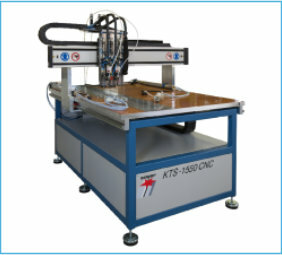 The KTS-1050 CNC coordinate table in accordance with EU Directive on Machinery 2006/42/EC is a high-quality new development incorporating a solid design with longterm quality and precision. The particularly favourable price/efficiency ratio enables profitable operation even with low and medium-scale manufacture. 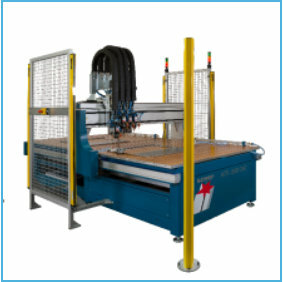 The KTS-1550 CNC coordinate table equipped with casing in accordance with EU Directive on Machinery 2006/42/EC is a high- quality new development incorporating a solid design with long-term quality and precision. The particularly favourable price/ efficiency ratio enables profitable operation even with low and medium-scale manufacture. 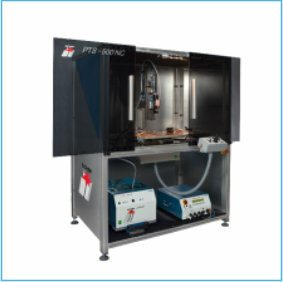 The PTS-500 NC stud welding machine allows studs and pins from 3 - 10 mm in diameter and 40 mm in length to be precisely and fully automatically welded in accordance with all known stud welding processes. 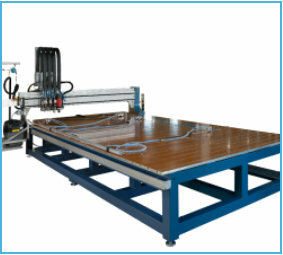 The KTS-2550 CNC coordinate table is a high- quality new development incorporating a solid design with long-term quality and precision. The particularly favourable price/ efficiency ratio enables profitable operation even with low and medium-scale manufacture. 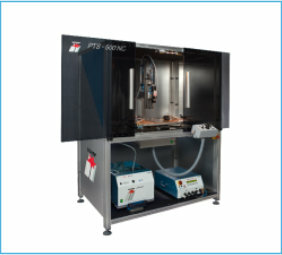 High performance and precision – those are the key features of the KTS-4000 CNC stud welding machine. Thanks to the new XXL concept, it is now also possible to manufacture large parts at very economical conditions. A welded and precisely surface- milled machine frame provides maximum stiffness. 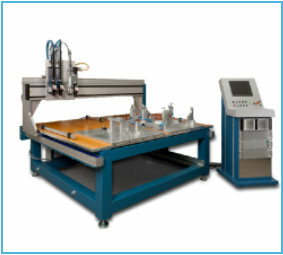 This helps to ensure high precision and accuracy at all times during continuous operation. 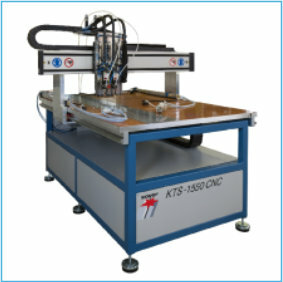 High performance and precision – those are the key features of the KTS-1550-W CNC stud welding machine. Thanks to the new XXL concept, it is now also possible to manufacture large parts at very economical conditions. A welded and precisely surface- milled machine frame provides maximum stiffness. This helps to ensure high precision and accuracy at all times during continuous operation. 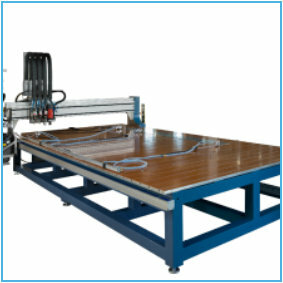 The KTS-1050 CNC coordinate table in accordance with EU Directive on Machinery 2006/42/EC is a high-quality new development incorporating a solid design with longterm quality and precision. The particularly favourable price/efficiency ratio enables profitable operation even with low and medium- scale manufacture. 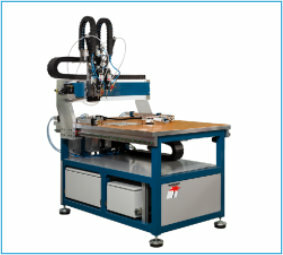 High performance and precision – those are the key features of the KTS-1550-W CNC stud welding machine. Thanks to the new XXL concept, it is now also possible to manufacture large parts at very economical conditions. 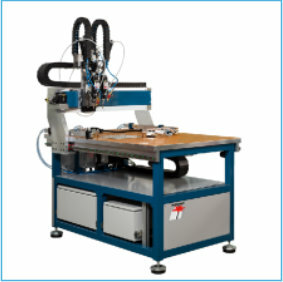 A welded and precisely surface-milled machine frame provides maximum stiffness. 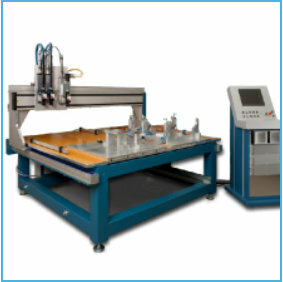 This helps to ensure high precision and accuracy at all times during continuous operation.